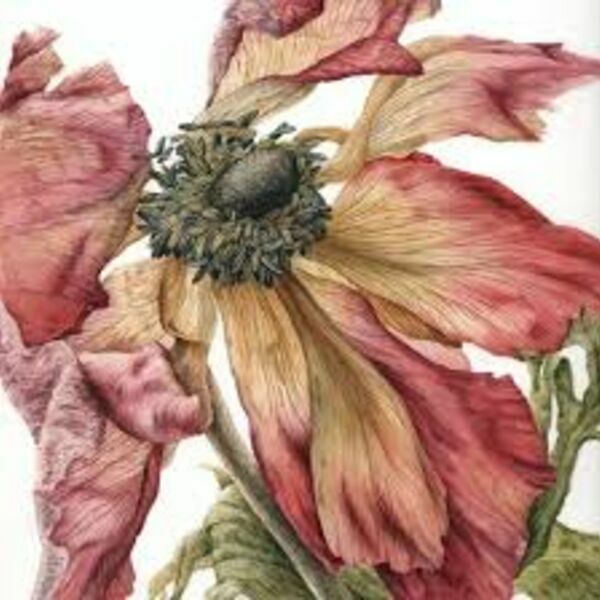 This week, I get to catch up with botanical artist Julia Trickey to hear about all of her latest projects including her latest publishing venture with Two Rivers Press. Julia also talks about the times she has shown at the RHS and how after winning so many medals she now has a demo stand at Royal Horticultural Society's Botanical Art Show which is open between July 11th and 12th 2018. For the first five minutes, we are taken on a journey across Sussex to the magical gardens of Great Dixter. Here I continue to play around with sound and the different effects you can achieve with field recording. I view these segments very much as one would an audio sketchbook. The short mixes form the preliminary work that will influence the direction of the final audio component of my latest project on the Blue Flower.